Students participating in the Badgers on the Run program at Central Primary School and Peake Elementary School will complete a full marathon on March 4 at the Little Rockers Kids Marathon in Little Rock, Ark. The goal of Badgers on the Run is for students to run 25.2 miles before completing their final mile at the Little Rockers Kids Marathon. Beginning in December, students stay after school two days a week with adult volunteers to log miles before the race in March. Students will run and walk their final mile on the official Little Rock Marathon course, starting on Main Street and ending on Scott Street. As each child completes the 26.2 miles, they receive a finisher’s medal. During the first year, DeWitt and Central Primary Physical Education Teacher Ryan Ellison began Badgers on the Run for Central’s second and third grade students. The year following, Peake Teachers Laquita Jones and Lea Myers helped to extend the program to include fourth and fifth grade students at Peake Elementary by offering to serve as sponsors. In order for students to fully accomplish their goals, parent support is imperative. Parents have to be willing to pick their child up an hour after school twice a week and encourage them along the way. With 105 students participating this year, the program has almost tripled in participation size since its inauguration. According to their website, the mission of the Little Rockers Kids Marathon is to give children the opportunity to enhance their physical activity while focusing on reaching a goal. 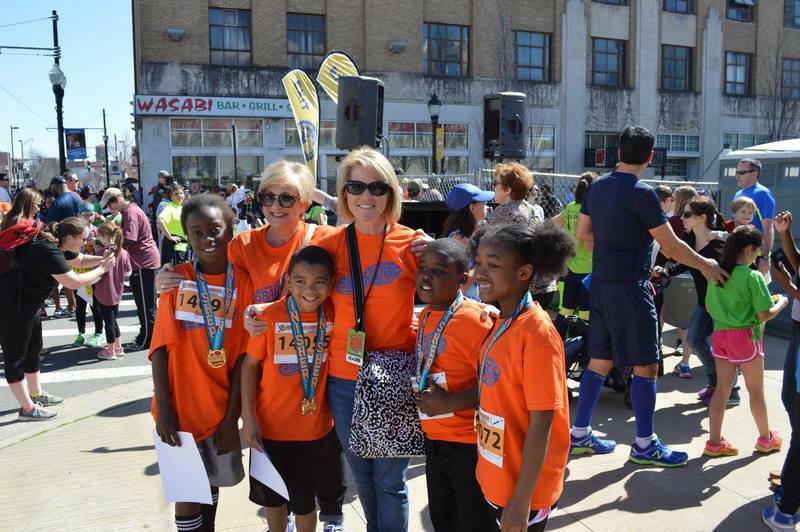 For more information, please visit http://littlerockmarathon.com/little-rockers-kids-marathon/.